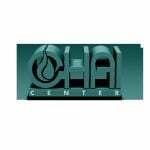 The Chai Center Food Bank operates on a weekly basis and twice annually on a larger scale. Weekly, we provide 60-70 families with their basic needs. Twice annually, before the High Holidays and before Passover, the food bank distributes over 40 tons of food to 400-450 families. The Passover and High Hoilday Food Bank is dedicated to the memory of the late Mr. Benny Caplan. Until he passed away at the age of 84, he would go to the fruit and vegetable market, shop and deliver to the needy almost every day, pratically by himself. He was very instrumental in seeing that our food bank receives sufficient help to provide for those in need. The Passover Food Bank is partially sponsored in memory of Leah bat Reb Yehoshua Friedman, the mother of Phil Friedman, owner of Diamond Taxi and Mazon Canada. In addition, the Chai Center has a furniture/appliance drive. People who are moving or renovating call the Chai Center and our volunteers pick up and deliver the furniture and/or appliances to families in need.